Harsh winter weather can adversely affect your roof. Wind damage can cause loose or broken shingles. The thawing and freezing of water can penetrate a roof’s base and undermine its structural integrity. Prepare your roof for the upcoming winter months and safeguard your investment with the following tips. Clean out your gutters. Fall leaves and debris will collect into your gutter system and may lead to a clog. Melting ice will overflow the gutters and damage it, including the trim and siding. The added weight of ice, snow, and wet debris could cause gutters to pull loose from the anchor point and eventually lead to a collapse. Keep a keen eye on your gutters the months leading into winter. Check for missing or damaged shingles. Shingles are your first line of defense when it comes to the outside elements, and their performance will be compromised if they are cracked or frayed. If you do not feel comfortable climbing onto your roof, you can complete an inspection from the ground. If you suspect any structural issues, flashing repair, or major damage then contact your local roofing contractor for assistance. Check the attic. Without sufficient airflow in your attic, you will have high energy bills and roof leaks emerging once snowstorms start to happen. During the day, sunlight heats up your attic. Without ventilators, the heated air condensates, causing moisture decay and damage over time. 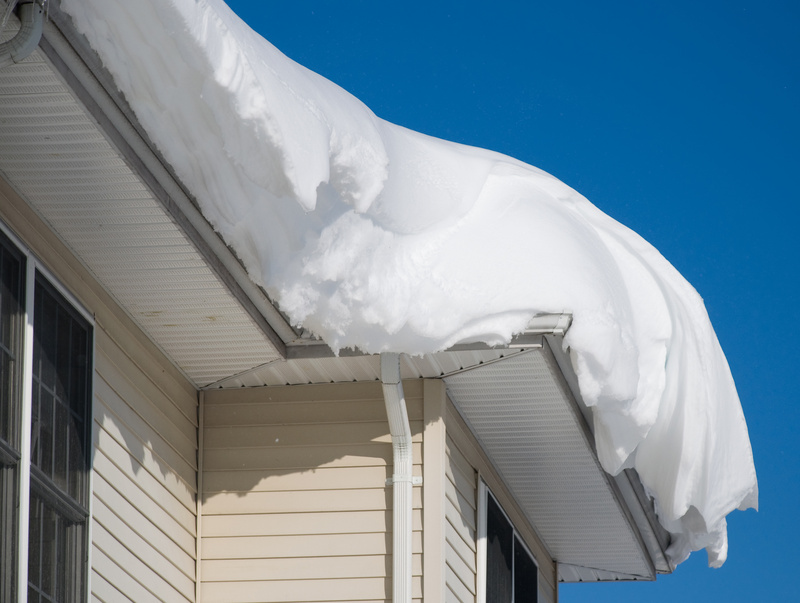 This heat can cause ice dams, thus inviting leaks from snow accumulating on your roof. Looking for a Roofer in Anne Arundel County? Cox Roofing serves the Baltimore area and surrounding communities. Recognized by Angie’s List for a 2017 Service Award and top-rated by HomeAdvisor, Cox Roofing fully stands behind our work and pride ourselves on your overall satisfaction. From a free estimate to the finished roof, we are with you every step of the project to ensure that you’re fully satisfied. Regardless of the size and scope of your project, we are more than happy to assist you. Contact us to learn more.